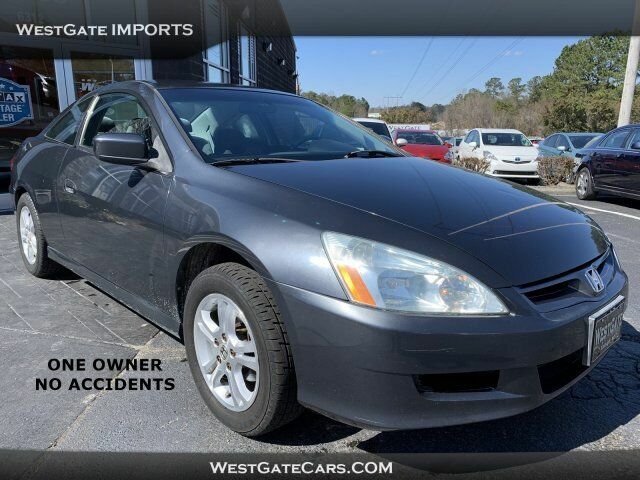 2006 HONDA ACCORD LX - COUPE - ONE OWNER - NO ACCIDENTS - POWER WINDOWS AND LOCKS - XM RADIO RECEIVER - PLUS MUCH MUCH MORE!!! I've purchased a lot of vehicles, everything from Chevy, Nissan, VW, Kia, and now a Jeep. Out of all of the Sales departments I have encountered over the years, this one was the most organized, polite, and aware of the amount of time I actually spent in the dealership (because lets be honest no one wants to spend all night there). They presented me with multiple options that included the things I requested, there was no haggling back and forth to reach a price point that I felt was reasonable, and most importantly when it came time to go to financing they only sent my file out to two companies. If you've bought a car before you know this almost never happens, most OTHER dealerships throw spaghetti at a wall and try to see what sticks. Overall everything at Westgate has been absolutely seamless, I would definitely purchase another vehicle from here! Thanks to the personal friendly knowledgeable service provided by Monique at the front desk I haven't taken my car anywhere other than Westgate Imports in the nearly 2 years that I've had it. Even though I don't typically come in for much other than the not-so-frequent scheduled maintenance, Monique knows me by name and instills in me the comfort of knowing I can trust Westgate Imports with my vehicle and providing me the best service and price possible. I will purposely call ahead to make sure she'll be there before I stop in. I have purchased my last two vehicles from Westgate. Their Westgate for life program is really nice. I am not sure if this is something they offer with every vehicle purchase, but with this - you receive free oil changes for life when you bring it in. This does not come with add-on's such as tire rotations, etc. They gave me a free tire rotation today though, even though it was supposed to be $19.99 (not terrible). They may have done that because the wait was forever long. I was there for 2 hours.. Thank goodness for their free wifi, I was able to get some work done. The wait is extremely long every time, but they do have drop off services they offer as well which I am sure works for some folks. I used it one time when I worked in the area.. They dropped me off back at work and then I found a ride back later in the day. Ended up coming here to buy a 2016 Jeep, Marcus was an amazing sales person. He totally changed my outlook on this dealership. If you're going in to buy a new car ask for Marcus. However, the service department still needs to get it together. Long story short - after doing a ton of research, my husband and I decided Westgate was where we wanted to try first to buy a new Jeep Cherokee. We worked with Ramon and never looked back! He let us take it for a test drive then sat down with us to just talk. We weren't planning on buying that night, but then he said "Let me at least give you an offer." We decided we didn't have anything to lose since we already knew what a good deal would be. His offer did it. It was a great deal! Working with him was an added bonus - he stayed late with us to get the paperwork through and ensured we got the discount we were promised. He also let us take it then and there as an "Extended Test Drive" since we didn't have our checkbook and needed to move some money around (we really didn't plan to buy that night!) He worked with us and even checked in on my birthday to see how things were going. He didn't treat us as just a customer, but as friends - checking in with us and even more recently helping me schedule a service appointment when I was having trouble getting in touch with the Westgate Service Dept. He took my week of frustration and fixed it in less than 10 mins. If you're in the market for a new car, consider Westgate and ask for Ramon. He's a great guy , was wonderful to work with, and will take care of you! This place has a great atmosphere and they make you feel at home great place to buy a new or used car. Ask for Tommy jr. he will treat you great. We've had a great car buying experience at Westgate. Wesley Parker has helped us to find the best car for our family. He is a great professional - honest, polite and treats his customers with respect. Wes knows the specifics of the car industry very well, we appreciate his kind attention to all our questions and concerns. We are very satisfied customers!Garret has helped us through the financials. He has made the whole paper-signing process very easy. We were very pleased. If we ever need to buy another car, we will definitely come to the Westgate dealership again! We shopped for a premium class BMW. We knew we wanted the 5 series and at least the 528i or 530i. We stopped in after we found a 2008 528xi. We stopped by and it was a nice car but not quite the car. They also had a 2008 535xi. So it was pulled out for us. Deep Blue. Beautiful terracotta Dakota leather interior that was obviously well maintained. We shopped around for another week looking at similar 535xi models about $1000 less in price. They were nice, but honestly little things not real obvious, but we noticed. We were looking around because frankly, Westgate was a little tough negotiating the price with us. If anything was a challenge here, it was negotiating what we felt was a better deal.We decided that after spending some time checking out the other local cars, that Westgate seemed to have a fair deal as they moved off the price $500 for us.The best part of the deal was working with Kevin Bentley. We filled in the initial loan request and left to take care of an errand. When we returned Kevin had inquired to several options and found us a great deal to finance. Aside from negotiating the price, our experience was great. We have a beautiful used car that retailed in 08 for over $50k. Great service. Thanks Westgate! Ask for Jeff. When you inquire about a vehicle online, you get passed to the next online sales associate in queue. This means that the salesmen on the floor depend on referrals and walk-ins. I'm not saying that this is good or bad--it's the job--but if you want to guarantee good service, ask for Jeff. Why? In short: he's exactly what you want. Genuine, knowledgable, and motivated. I went to Jeep with a specific vehicle in mind. I'm a no-B.S. kind of gal, which I made perfectly clear when making the appointment. "I want this; I don't want this. This is how much I want to pay...let's do it." Jeff was perfectly accommodating and didn't try to give me the usual dealer rundown. He stayed late to greet me, took me on a test drive, and worked to get me out of there within 90 minutes of arrival. Now, it was late, and I'm not sure that the financing office worked overtime to get me the best interest rate, but I was happy with the purchase. I wanted rubber mats, but they didn't have any for my model (really, this should be standard, Westgate); Jeff offered to purchase some for me, but of course I didn't want him to do that. But, his dedication to make me a satisfied customer made me beyond happy to work with him. Ask for Jeff. He deserves it. I got the opportunity to work with the fantastic sales staff at Westgate, namely Tommy. I walked in wanting to look at a new Jeep, and came away with a better deal on a higher trim level...I paid less for a Limited than I would have for the Latitude! Plus all the included maintenance and extended warranties for no additional cost (good luck getting that elsewhere). Great deal.